Stefan Wijnen has worked in various roles for Microsoft since 2006. In the Belgian subsidiary, he was a Solutions Sales Advisor Security for Enterprise customers, Account Technology Strategist for Belgian government customers and the Account Executive for the Belgian Healthcare market. In early 2014, Stefan moved to Microsoft Corporate in the US to assume the role of Industry Solution Manager for the Cloud Platform within the Worldwide Healthcare team. Together with the Microsoft network of field sales representatives and the broad partner ecosystem, his goal is to convince healthcare customers to use Microsoft cloud technology for each modernization or new project launched. 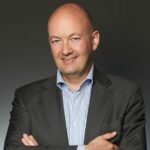 Prior to joining Microsoft, he spend the majority of his career in IT security for Philips, Utimaco and Certipost, managing initiatives as the Public Key Infrastructure (PKI) for the Belgian national eID card.